Civilization fans were ecstatic when Firaxis announced that another expansion would be released for their latest Civilization game. The Gathering Storm expansion will add interesting new features like volcanoes to the game, and hopefully it will be a cut above the earlier, not so great Rise and Fall expansion. Like the earlier expansion, though, Gathering Storm will add new civilizations (civs for short) to the game, including the likes of Canada, the Inca and the recently announced Mali civ. Firaxis have now revealed that Sweden will also feature in Civilization VI: Gathering Storm, a civ veterans will be familiar with, as it has appeared in earlier entries in the series such as 2010’s Civilization V.
Civilization VI has a roster of beautifully animated leaders, and Kristina will be Sweden’s leader in the game as you can see in the video below. Given that the woman had an interest in culture and the arts, this is reflected in-game by the fact that you can engage in three Nobel Prize competitions when Sweden is present in a game. Winning this will be a good way to gain favour with the World Congress, handy if you’re going for a diplomatic victory in the game. Also, every university and factory you build grants you extra points towards Great Engineers and Great Scientists. These folks can grant you big bonuses in the game, speeding your production and research, so this might give Sweden quite an advantage in the game too. The same goes for Sweden’s unique building in the game, the Open-Air Museum, granting you culture and tourism in the game, as well as making your cities’ citizens more loyal as well. Sweden is no slouch when it comes to fighting either, and its unique military unit (the Carolean) will help you deal with any cavalry the enemy sends your way from the Renaissance onwards. Those who have been playing Civilization VI for some time likely also know about Great Works, unique items in the world such as works of art which are necessary to achieve a cultural victory in the game. 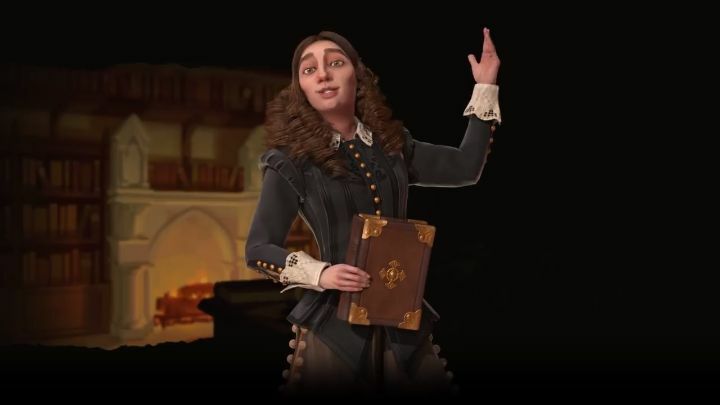 These need to be stored by their owner in the game, though, so it’s a good thing that you will be able to build the “Queen’s Bibliotheque” when playing as Sweden, giving you more slots to store Great Works, making it easier to go for a cultural victory in Civilization VI. It looks like playing as Sweden could be interesting in Civilization VI once the Gathering Storm expansion comes out, so here’s hoping this new expansion for Firaxis’ game turns out to be great when it releases next month.